Once we get the email we’ll dive into it, and then we’ll give you a call back. Our goal is to get you a FAIR ALL-CASH OFFER as quick as possible. With that said, here’s our phone number: 713-255-9850. Feel free to call us anytime if you have any questions. Also, keep watch for a call from us very soon. Our company is a Houston based real estate investment firm, and we focus on helping home owners who need to sell their homes fast. With no hassle. Nothing. There are no fees or commissions. 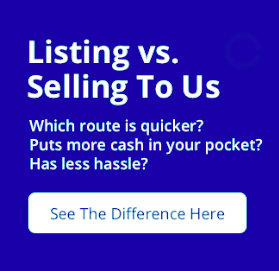 We don’t list your home… we’re looking to actually buy your home ourselves. Plus, we even pay for all of the closing costs and other costs associated with the sale. Next, we’ll set an appointment to come look at the house and give you our best offer. if you’re ready to have us buy your house based on our offer, we’ll get the paperwork going with a local licensed title company. We can set the closing for whenever you are ready to move. Will You Really Buy My House In Any Condition? Yes! We buy houses in any condition or shape. We love to remodel homes and bring them back to life. We buy run-down houses, fire damage, water damage-it doesn’t matter. Even If your house only needs a little TLC, we can take care of that too. More Questions? Give us a call at 713-255-9850 or head over to our FAQ page.